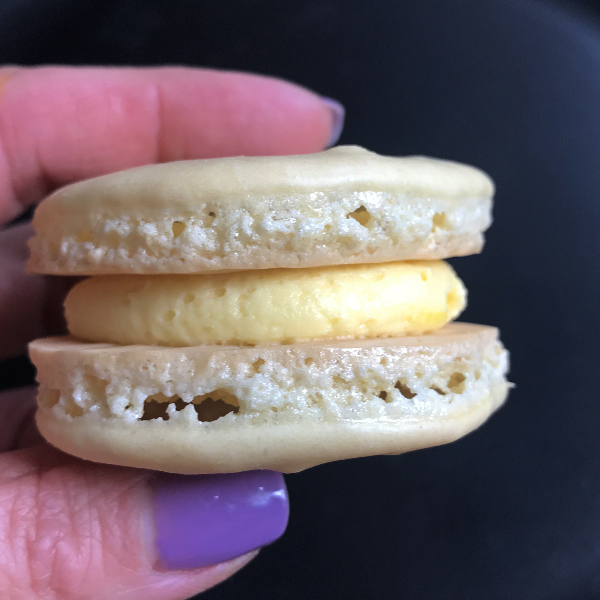 Simple & delicious- two words that pair nicely for a quick meal. At the start of spring in New Hampshire, it’s hard to find fresh produce for a dish as simple as this. However, just returning from a mini-vacation to Charleston, South Carolina, it was nice to be on a part of the planet where produce is being harvested in March. 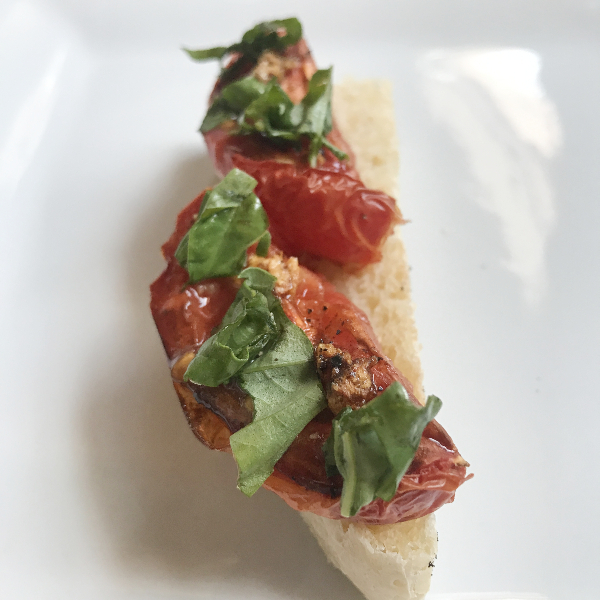 For those of us up north, I’d suggest bookmarking this recipe until tomatoes are in season. 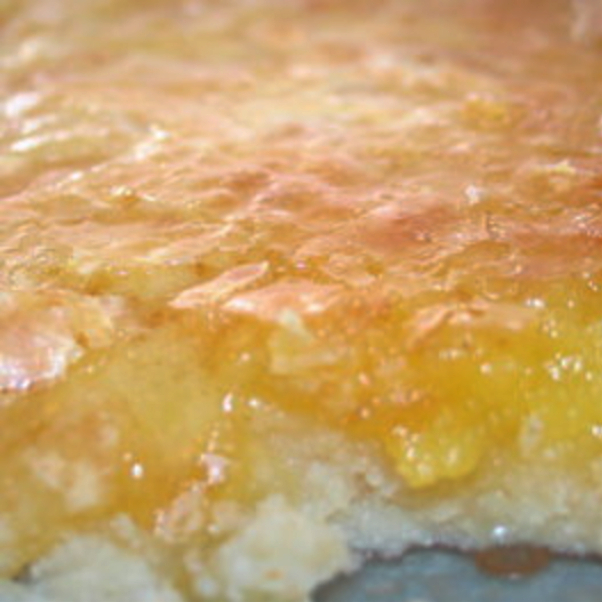 For those of you in warmer climates, make this now! 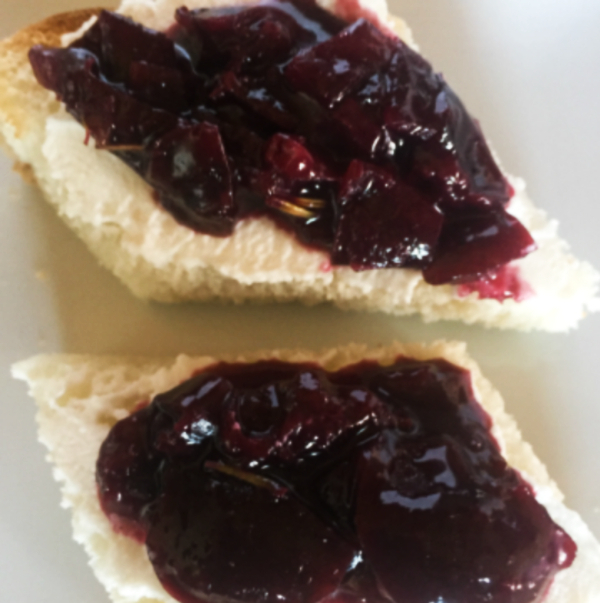 Keep reading to learn more about this recipe, first published in September 2013. It is so nice when the main dish for dinner can be planned based on a purchase at a roadside produce stand. All summer, I have made several trips weekly to a local stand. Even though there are two farms in town, I love to stop by this house to purchase our veggies. I know that everything for sale there was grown locally. The prices can’t be beat; three zucchini for a dollar. Yes, I will take three, thank you. Plus, the “farmer” is a kind, older gentleman who seems to thoroughly enjoy his gardening and chatting with stoppers-by. When I went to his produce stand last week, I was hoping to find the aforementioned zucchini. However, he had none. I reviewed my other options and decided to buy a couple eggplants and tomatoes. They seemed that they would come in handy for dinner in a night or two. On Thursday, we ended up with no kids at home for dinner due to extra curricular and social plans. This was the night to use the eggplant as the front and center star* of dinner. With tomatoes on hand, I figured some sort of stack would work well. Rather than using mozzarella as I have previously, I wanted to use goat cheese, which we had in the fridge. Dinner was delayed to a longer than anticipated business call for my husband. Surprisingly, that delay made dinner all the better. With two-thirds of the meal prep done, I placed the eggplant in the oven. What resulted was a warm dish with extremely creamy goat cheese. I topped my stacks with a drizzle of balsamic vinegar; my husband opted for pesto. Either way, this was a delicious dish! Slice eggplant into 1/2-inch rounds. Heat nonstick frying pan over medium heat. Cook eggplant rounds approximately 2 minutes per side or until tender. Transfer to a parchment paper-lined or greased baking sheet. 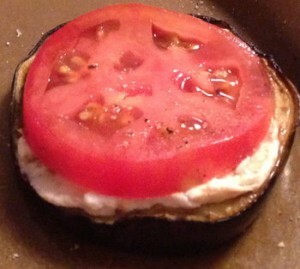 When all eggplant rounds are cooked, topped each with 1-2 teaspoons of goat cheese. Bake for 5-10 minutes. 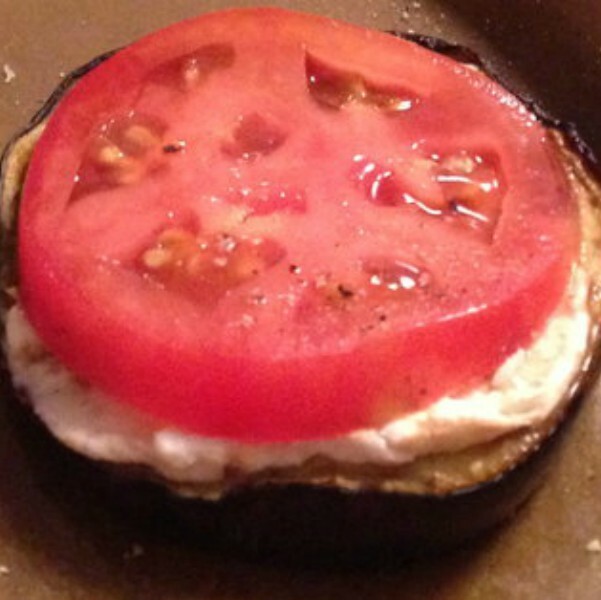 While topped eggplant slices are baking, slice tomatoes into 1/4-inch slices. Remove eggplant from oven. Top each with a tomato slice. Finish with a sprinkling of black pepper. Serve with balsamic vinegar, extra virgin olive oil, or pesto. *For those with a heartier appetite, such as my husband, these make a fabulous side dish and accompany most proteins quite nicely. Serves 2 when used as a main dish; serves 4 when used as a side dish.